Hi chicken lovers. I am the proud owner of a flock of 18 hens and 1 very happy rooster. I've had chickens for two years now. Order them from McMurray hatchery online in the Spring 2 years ago. Once they got here, we kept them in the shed with a brooding light over them until they got big enough to move to our chicken coop. 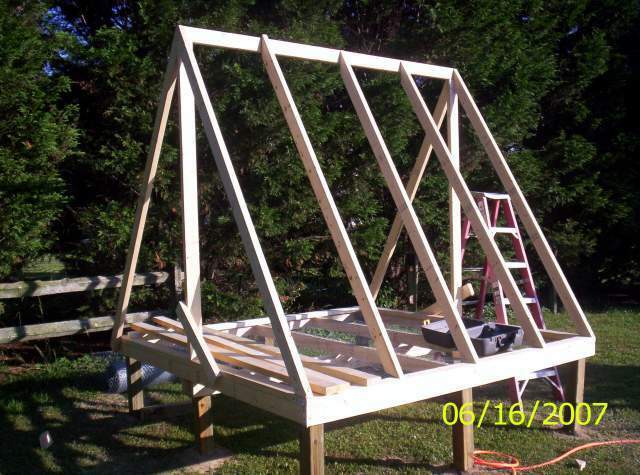 While they were growing I had my husband build the coop which was modeled after the HenSpa we saw online. It is not as big as I wanted it to be.....but it houses the chickens just fine. It sits about a foot or so off the ground and I have the bottom of the coop filled with chicken wire. Thus far nothing has climbed into the coop to eat our eggs or our chickens. That said, I have had more problems with neighborhood dogs who are immediately attracted to my chicken coop. Anyway, the chicks we ordered from McMurray that first year arrived with no problems...all of them were healthy. We lost about 5 chicks over the course of the next six months. Some just died mysteriously....which happens sometimes. The rest grew up to be just beautiful hens and they began laying eggs like gangbusters. In fact, at one point I was getting two to three dozen eggs a day! I became an "egg pusher" ....often bringing eggs to work and asking people to take them off my hands. Eventually one of my neighbors began purchasing eggs from us instead of going to the store. I shouldn't say "purchasing" ....it was more like a donation toward the feed. One day we got a letter in the mail from the county where we live stating that we had to demolish the chicken coop and get rid of all the chickens. This was a huge shock to us given that we have 2 acres of land and live in a neighborhood with just 5 houses. Obviously one of my neighbors was ...too [email protected] to come over and discuss whatever issue they were having. At any rate, the letter was extremely threatening telling us that we had 30 days to get rid of the chickens, the coop or else we would face a huge fine. My daughter and I were extremely upset by all this. My husband ended up calling and talking to the county and worked out a deal. We didn't have to take the chicken coop down but they did want us to reduce the number of chickens....they just said don't replace them as they die. I wasn't exactly happy about this solution but what could I do? Eventually I acquired a rooster (which is why I probably got that first nasty letter from the county) to protect my flock of chickens after losing several to the neighborhood dogs. One of my neighbors dogs routinely comes over to our yard to take a crap and then stands there and barks at us as if we're not supposed to be living in his personal toilet area. I didn't complain to my neighbors because none of have fences and each of us has 2 acres. Plenty of area for our animals to roam about freely. So, we built a bigger fenced in area for our chickens to roam inside. Eventually I did start letting our flock of hens free range....they stayed in our yard and didn't stray far. Over the course of the year, we lost 3 hens to my neighbors dogs who thought they were their personal toys. Back to Houdini the rooster.....I have a friend who is a more experienced chicken mama. She said I should get a rooster so that he could warn the hens when there was danger and protect them from the dogs that kept coming around. So she let me have her rather beautiful and large rooster, named Houdini. After a few days of my hens being rather mean to him, he settled into his role as their keeper and all was well. Yes he does crow but no too much and with all the acreage between me and my neighbors, it was nothing that should bother anyone. Okay, fast forward to the Spring....Mr. Houdini was errr....quite active with his flock of hens....if you get my meaning. Eventually one of the smaller hens I have whom I've named "Mama" hid under our deck in a place where we couldn't reach her. She only came out about once a week to get something to eat and some water and then disappear under the deck. Of course I was concerned she was hiding her eggs under there but there was no way to get her or the eggs out. A few weeks later, I'm in the back yard walking toward the chicken pen when I see what appears to be 8 tiny birds milling around my hens. I suddenly realized those weren't birds, they were peeps! Mama had successfully hatched 8 baby chicks who were the cutest little guys. I really didn't want any more chickens but what can you do when you have a hen who just insists! I have to tell you that watching those 8 babies grow up was one of the cutest things I have ever seen. They would toddle along after their mama and then when she'd sit, they would all get underneath of her wings and their little heads would poke out of her wings. Very cute! The rest of that spring I spent chasing after the hens and making sure they didn't get away where they could hatch any more chicks. We were successful in preventing the flock from growing any larger last Spring. Fast forward 4 months....we don't know whether the 8 new chicks are hens or roosters until one day I hear 6 roosters crowing simultaneously. I only ever wanted one rooster so having six is out of the question. As they grew into their full roosterhood, things got completely out of hand with the hens. They began driving my hens nuts chasing them around and trying to ....ahem.....have their way with them 24/7. It got so bad that they actually hurt their own sister so badly she broke her leg. I have always heard that when one chicken becomes weak that somethings the rest of the hens will pick on her. That is exactly what happened. I tried to segregate the injured hen but she would eventually die anyway because every time we reintroduced her to the rest of the flock she would get reinjured by one of the new aggressive roosters....her own brothers! Poor girl. Again fast forward about two months. 4 a.m. on a Sunday morning, my phone rings. Thinking that one of my relatives has probably died if my phone is ringing before it is even light outside, I picked up the phone and immediately I hear a screeching woman on the other end of the line who says....."The sun is NOT UP! And your roosters are crowing! First you had one rooster and you told us you were going to get rid of him and NOW you have MORE! I can't sleep and your roosters are keeping me awake!" Needless to say I was not pleased at being woken out of a dead sleep and scared half to death by a rather rude person on the other end of the phone. It was one of my neighbors....again I only have 5 neighbors total....so its a very small neighborhood. Unfortunately I'm not in my right mind at 4:00 a.m and at the time had lots of more pressing things on my mind. So, my response to my neighbors call was the following .... "Don't you ever call me here like this again. My husband has cancer and he's sick right now. You could have waited until morning to talk. ".....and I slammed down the phone. Okay....so my bad. I should not have immediately gone there right? My husband does have cancer and it is always on my mind...I have no idea why I chose that particular time to mention it but I was half asleep and can't be responsible for what I say when woken out of a deep sleep! Anyway, the next day she and I both apologized to each other and I came to the realization that I really did need to do something and quick about those extra roosters.....or should I call them "bonus roosters?" My husband had been promising for weeks to take them to a local farm friend but with his illness, I guess he had other things on his mind too right? So I decided to put an ad in the paper offering free roosters...."if you catch 'em you can have 'em" sort of thing. I had no idea if I'd get any takers but I did the very next day! A very nice man, who was a retired Marine, called and said he had always wanted chickens for his farm and he also wanted to know if we'd be interested in giving up some of our hens. I probably should have said yes, but I'm pretty attached to my hens so I said no. I did keep this guys number just in case "Mama" decides to go underneath the deck again this Spring. Anyway....the former Marine came over the next night and he caught 4 of the 5 remaining roosters. The next day another man called and he caught the fourth rooster who ran away the previous night. We're back to having just Mr. Houdini and our flock of 18 hens. By the way, when I had the "bonus roosters" around, my hens had almost completely stopped laying eggs. We were down to 5 eggs a week, if we were lucky.....barely enough for my family. Now that they're gone, they're laying like gangbusters again. I retrieved 27 eggs yesterday ....these were laid during the week when I was working so that's back to normal for us. So, why am I telling this whole story? Just wanted to lay out the ups and downs of having chickens. All my neighbors were supportive at first about the hens but as we ended up with those roosters...they were less than supportive. Guess I don't blame them...hopefully with them gone they'll be happier. I love my chickens and they're a great way to relax and forget about where I work the rest of the week....I have a high pressure job and my chicken farming although small is a great escape for us. Plus, it is much more healthy to eat eggs that are organic and not pumped up full of drugs. Our eggs are the most delicious things I've ever tasted...so much so that I can't eat eggs out in restaurants any more....they just taste too bland. 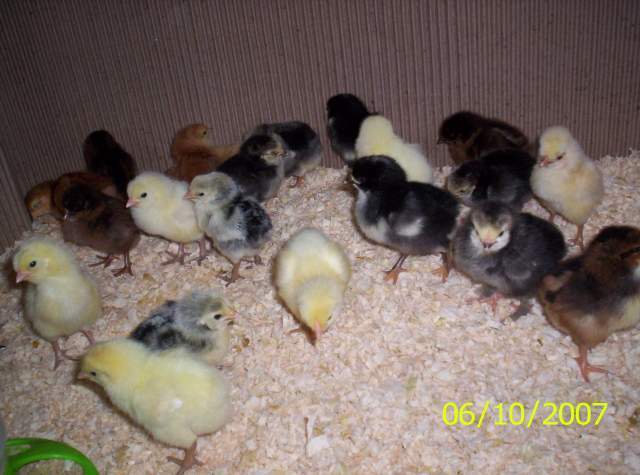 Hope you've enjoyed the story...will try to post some pix of our hen house/coop and the chicks when they were little. Enjoy!